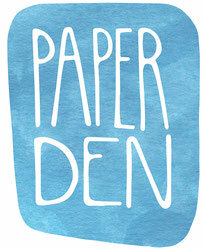 Gouache & watercolour - De website van paper-den! Gouache is a type of acrylic, water-based paint from a tube that is often used by illustrators. It is very matt and can be used in layers so you can paint light colours on dark. Used with a lot of water, gouache can work like watercolour paints. Gouache colours are very bright and it can be mixed easily. You need patience to work with this medium but the good thing is, if you do not finish in one sitting you can 'reactivate' the dry paint on your palette by adding water. Gouache and watercolour work well together with (watercolour) pencils. The fox drawing is an example of such a combination, the berries and the scarf are made with watercolour and the fox is made with watercolour pencil.